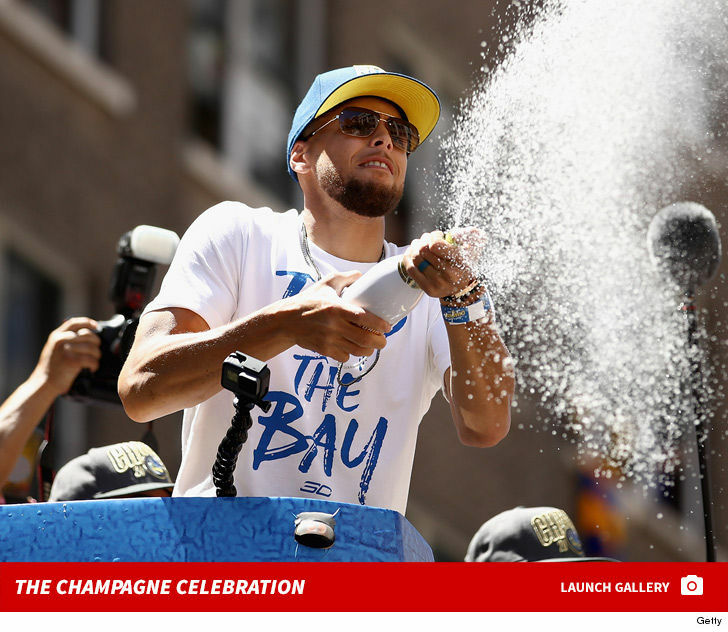 Steph Curry and Kevin Durant went champagne crazy at their victory parade on Tuesday ... 'cause the Warriors sprayed and drank HALF A MILLION DOLLARS worth of booze ... TMZ Sports has learned. 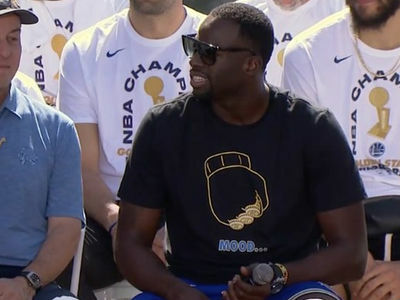 Fresh off their $400k locker-room celebration after sweeping the Cavaliers on Friday, the Dubs had all the Luc Belaire Rare Gold, Luxe and Rosé they'd possibly need to keep the party going ... including 6-liter and HUGE 15-liter bottles!! 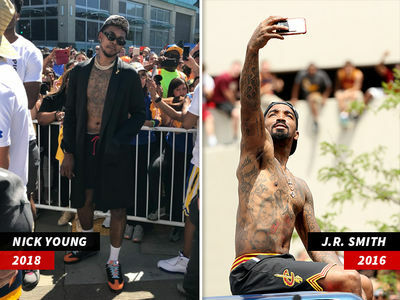 These dudes clearly know how to get lit like champs. After all ... 3 outta 4.